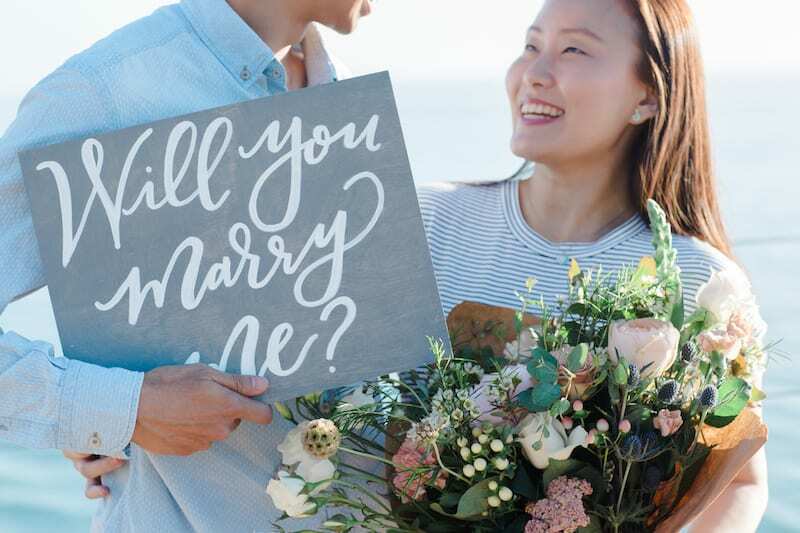 Jun knew exactly what he wanted to do for his marriage proposal. 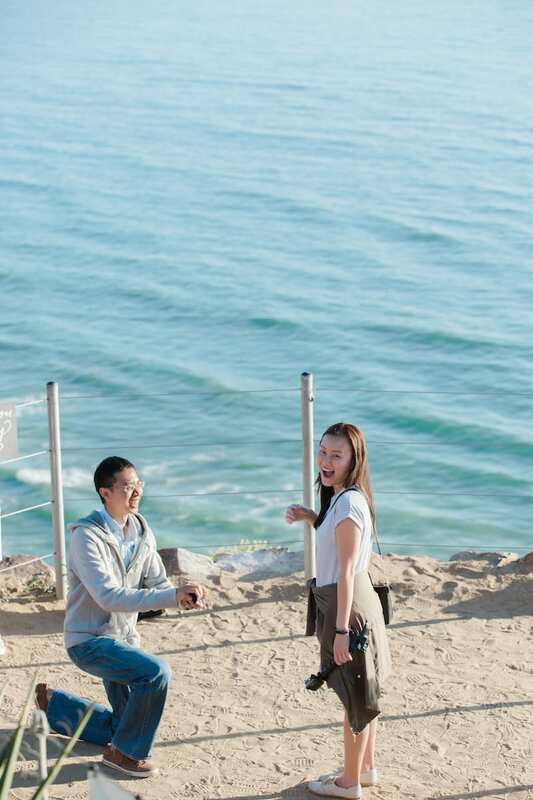 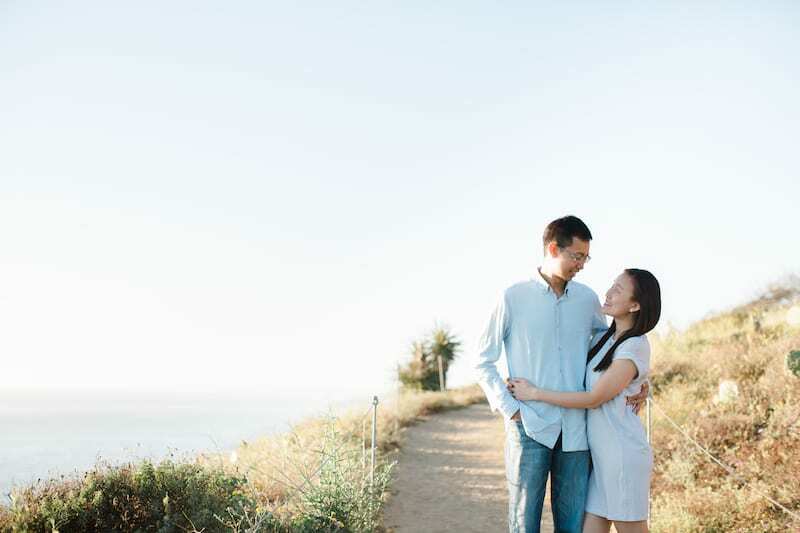 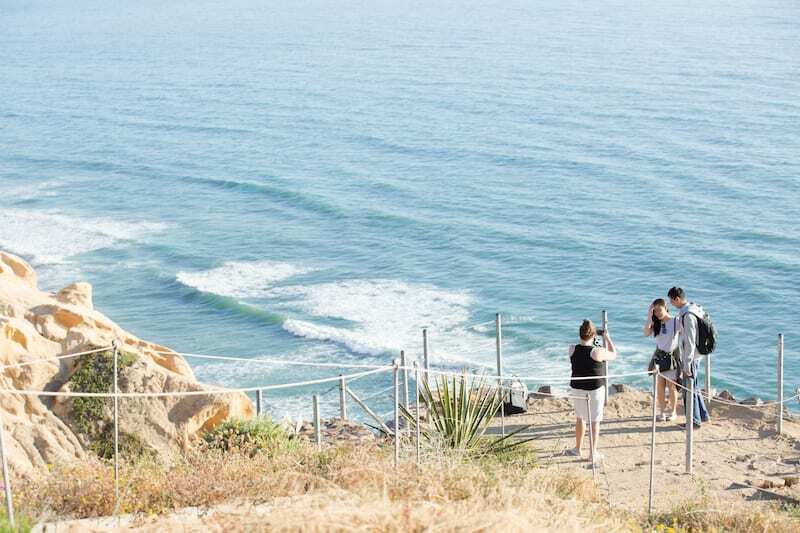 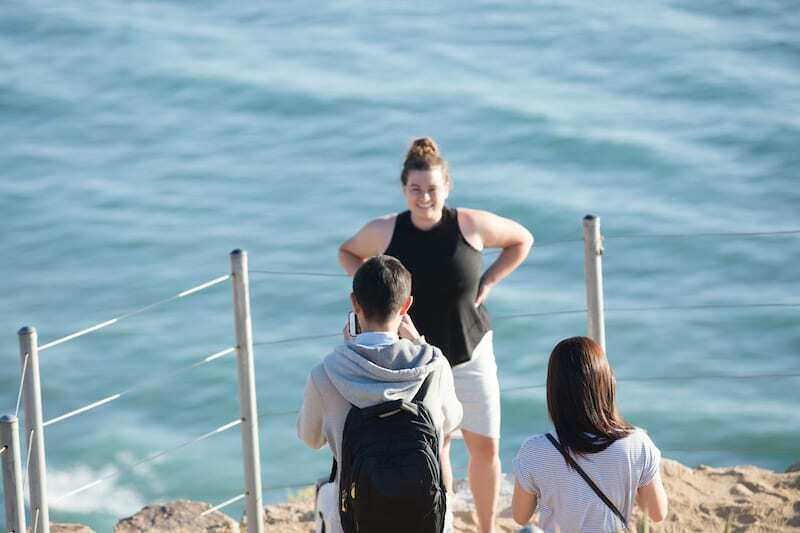 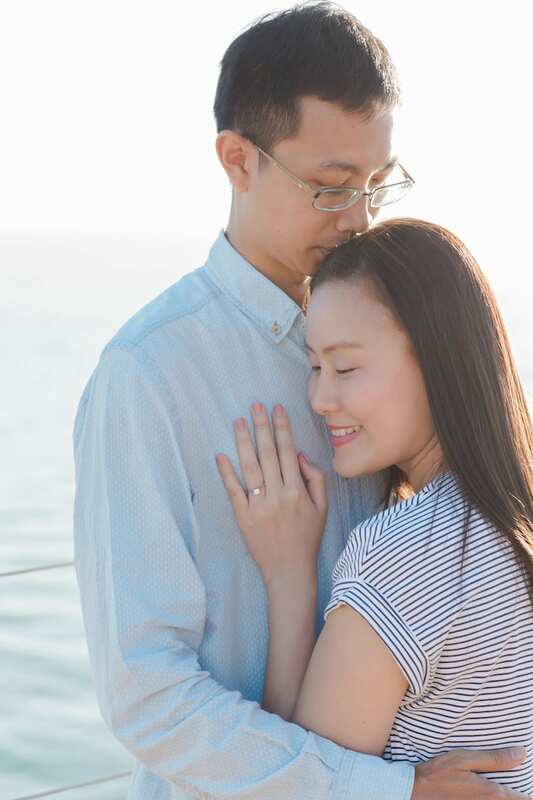 He wanted to take his gal, Jasmine to the Torrey Pine Cliffs in San Diego and ask a stranger to take their picture. 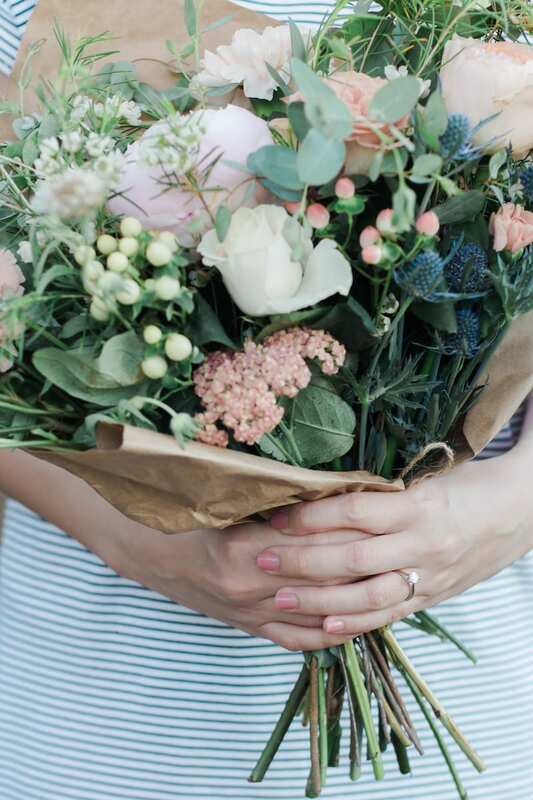 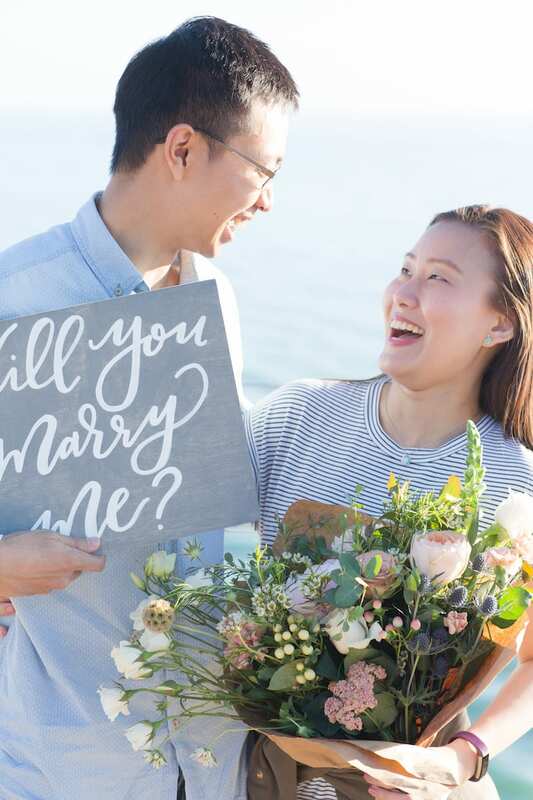 Then, when the couple returned the favor, this stranger would take out a sign that reads, “will you marry me?” and he would get down on one knee and propose! 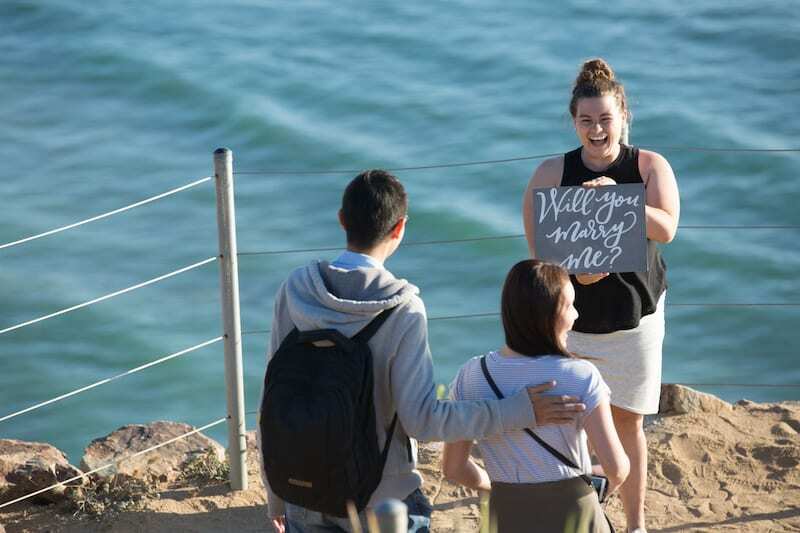 So we hired an incredible photography duo, Jessica Rice and her awesome husband / second shooter to be both the photographer from afar and the “stranger” for this proposal! 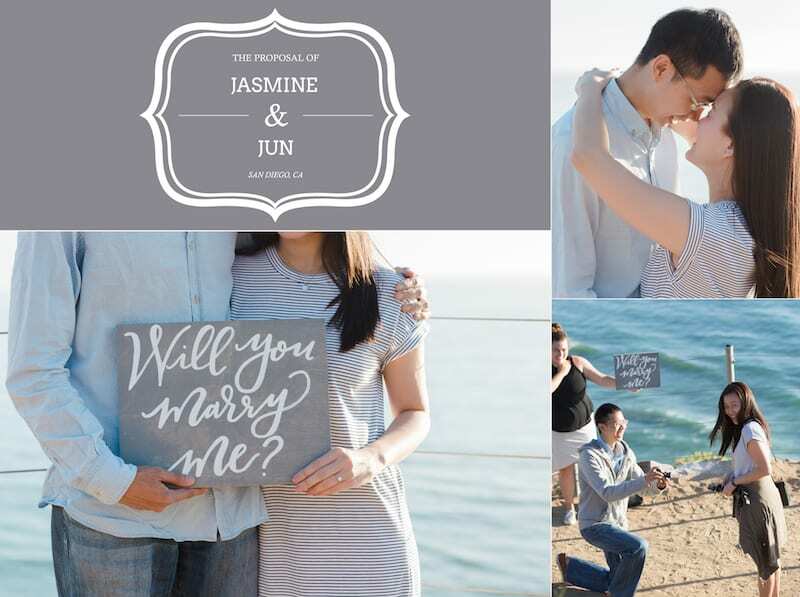 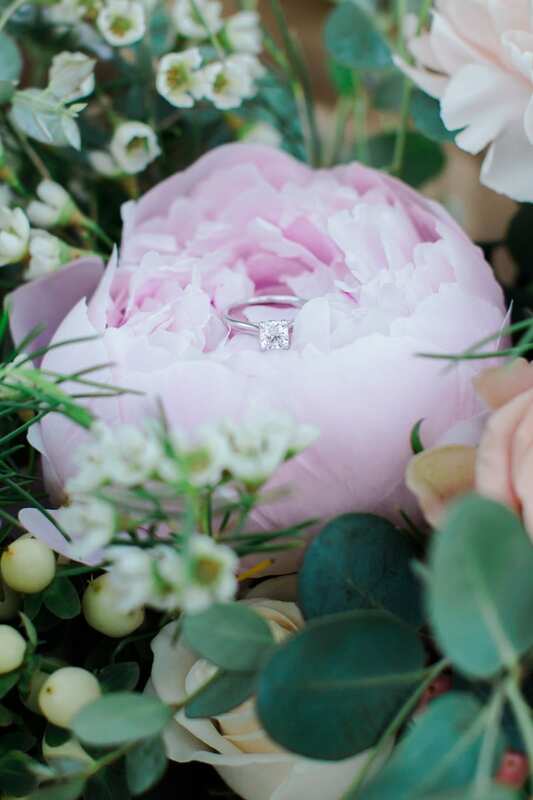 Even in it’s simplicity, this proposal screams romance and the surprised look on Jasmine’s face when she realizes what is going on is priceless!